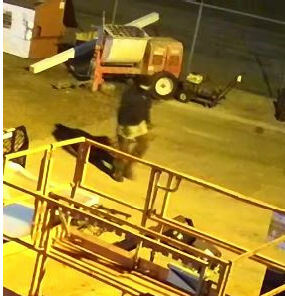 An attempted theft of a heavy piece of construction equipment is this week’s Salina Crime Stoppers crime of the week. 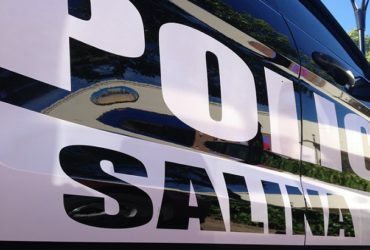 According to the Salina Police Department, on Tuesday, October 2, 2018, between 3:07 AM and 3:30 AM, a male subject attempted to steal a Bobcat Auger Driver valued at $1950.00 from Construction Rental located at 515 N. Broadway Avenue in Salina, Kansas. The subject accessed the property from Reece Construction’s lot located at 1240 W. North Street. The subject cut the chain link fence between the properties and then attempted to remove the auger, but was unsuccessful. The auger is valued at $1950.00, and the damage to the fence was valued at $200. If you have any information concerning who committed this crime, call Crimestoppers at 825-TIPS, text SATIPS to CRIMES (274637), or visit www.pd.salina.org and follow the Crimestoppers link to submit a web tip.